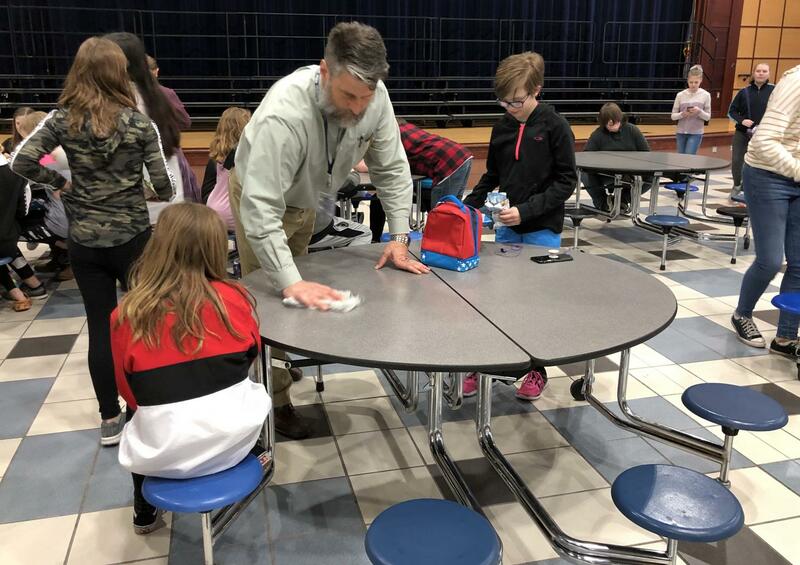 Rick Flaherty, current middle school principal, wipes down a lunch table in the middle school cafeteria on March 22. Flaherty will be moving up to SHS as its new principal for the 2019-2020 school year. 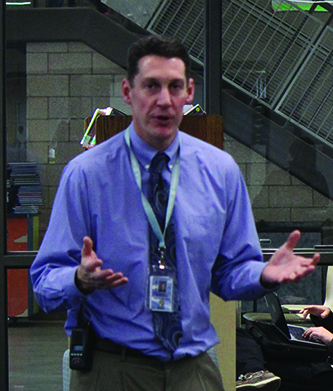 The Superior School District on March 8 announced Rick Flaherty, current middle school principal, as Superior High School’s principal for the 2019-2020 school year. He has been Superior Middle School’s principal for the last 14 years. 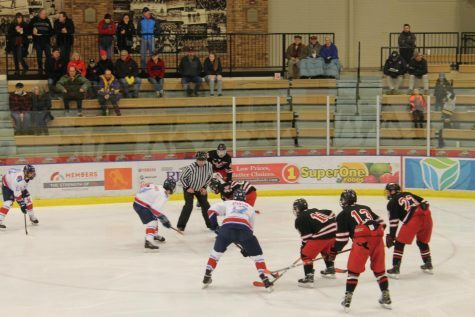 Flaherty has been a resident of Superior since 2005 when he moved here from southwest Wisconsin where he had been a principal at Ithaca school. He has two children; Jeremy, graduated in 2017 and Oscar graduated in 2018 from Superior. Flaherty was a principal of a combined K-12 school in another district before before leading the Superior Middle School. He understands that there is some new learning for him due to the older age group he will be working with. 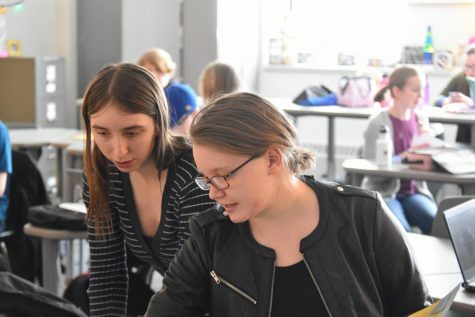 “I’m excited for the opportunity to work with students with a different energy level, and I am looking forward to seeing what the next level is like,” Flaherty said. Technology Education teacher Adam Kuhlman worked under Flaherty in the past. 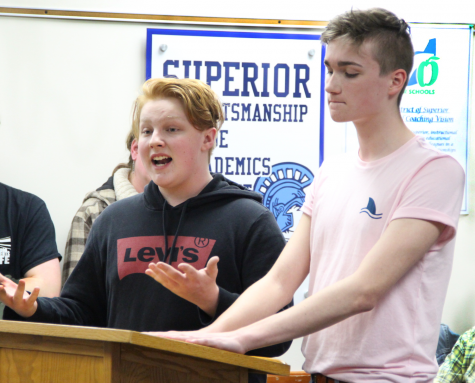 “I think Mr. Flaherty really cares about students and staff, and I enjoyed working under him at the middle school and I think he will do well up here,” Kuhlman said. Flaherty believes that staff-to-staff, staff-to-student and student-to-student relationships are very important. He has enjoyed interacting with students in the past, and he hopes to continue. 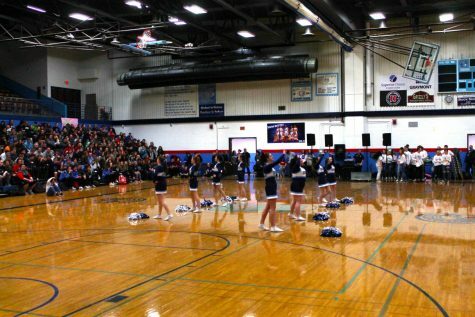 “When students know that the principal knows who they are and believes in them, that has a big impact on the school culture,” Superior School District Administrator Amy Starzecki said. She also said the selection process was difficult, that there were a number of strong candidates from both Wisconsin and Minnesota as well as a few from outside the two states. She credits the interview team for asking excellent questions that got at how the new principal would do with everything from instructional leadership to rapport with students. 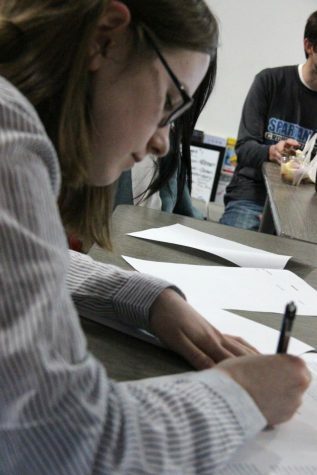 “I liked him starting off the day with the quote, ‘Have a great day or not, the choice is yours,’ and then hearing him sing ‘Happy Birthday’ to one of my peers at lunch, and even seeing him in the hallways at the end of the school day,” senior (and former SMS student) Nadia Sutherland said. According to Maryann Bonneville, a middle school counselor, Flaherty has worked hard to be an ally for every kid. She said that his hard work could be seen first thing in the morning as he would often beat many other staff to the building. 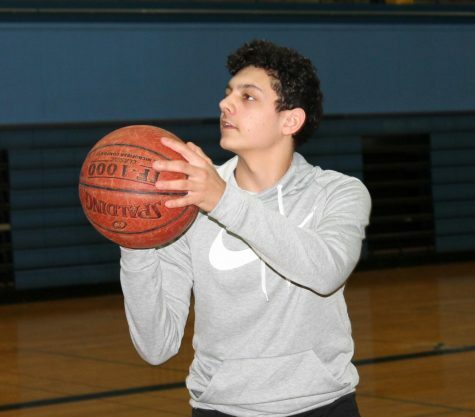 “Currently at the middle school, you see him in the evenings and early in the day, and he is connecting with kids. 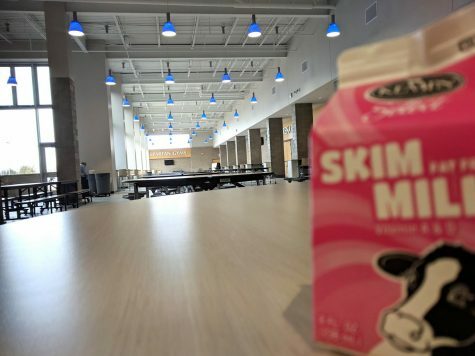 He’s in the lunchroom building those relationships with kids everyday,” Starzecki said. The superintendent believes Flaherty is the best choice for the job because he has been a part of the community and knows it well. He not only knows many of the district’s initiatives, he has been one of the main district staff implementing those ideas for the past few years. Flaherty officially takes over his new position on July 1, 2019.